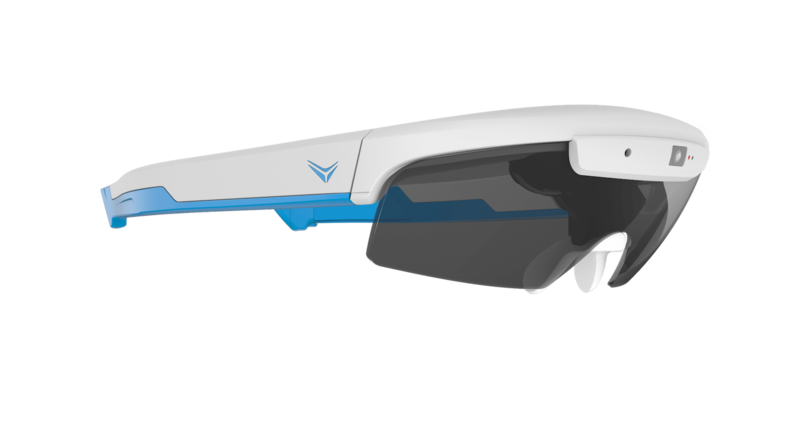 This week, Everysight started shipping their Raptor AR Smartglasses. The Raptors are intended to enhance performance by using augmented reality with the real-time data: heart rate, cadence, speed, power, distance and maps. Available direct from Everysight, the US pricing is $649.00. Last year I tried out the Raptors (also tried Google glass) and was impressed with the resolution. The tech is similar to the heads-up displays fighter jet pilots use. The Raptors also record your ride. I have a pair of the shipping version and will try them out later this month with a post to follow. Christian Van Velde wore them riding the last few hundred meters near the summit of Col Du Portillon, Stage 16 of the TDF, 2018. The Raptors aren’t for the cyclist looking to disconnect, but do offer an impressive feature list that keeps your eyes on the road instead of looking down at the computer on your stem. Maximizing Safety — It is safer to view a semi-transparent display of the data projected in the visor than to look down, away from the road, at a cycling computer while in the paceline, on a technical riding section, or while riding to work through traffic.Raptor Speaker allows riders to listen to music or receive phone calls without covering the ears. Ride Time — Everysight’s BEAM™ Technology minimizes power consumption allowing riders to enjoy up to 8 hours without having to recharge. Raptor will also come with a selection of accessories. RX Frames: Riders with prescription lenses will have the option to purchase RX frames for $29 USD & GBP/35 EUR/39 CAD (prescriptions must be filled by optometrist).